Travers Stakes 2014; How Will the Travers Play Out? 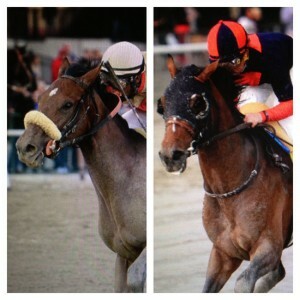 Home » News » Travers Stakes 2014; How Will the Travers Play Out? Travers Stakes 2014; How Will the Travers Play Out? : The 145th running of the Travers Stakes takes place at Saratoga on Saturday, August 23, 2014. 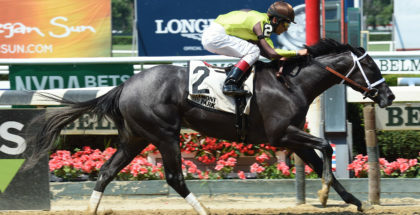 The G1 “Mid-Summer Derby” is worth $1,250,000 for a three-year-old colt or gelding that could propel himself into Horse of the Year by winning the Travers Stakes. When I look at the past of the Travers, I notice something about the winners. Most have won from a pace setting, a pace pressing, or a close stalking position. 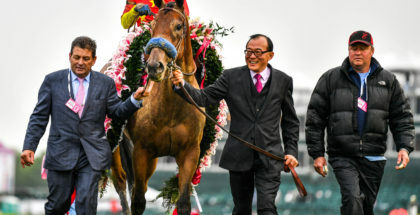 With the Likes of Stay Thirsty, Bernardini, Golden Ticket and Alpha, and Summer Bird, I see the Travers with such that it is a race for the tactical, not the grinder or closer. With the information, I could play the Travers a few different ways. I could hop on the Bayern bandwagon and say this will be another walk over for him, but I doubt that will be true. Saratoga is a whole lot different (and deeper), than the track at Monmouth Park. I also do not believe anyone in the race will leave Bayern alone like those in the Haskell. We have seen, that when left alone, Bayern will not stop. With the newly focused Wicked Strong, equip with blinkers, we see he is not as slow to start and get underway. We have Tonalist, who won the 1 ½ mile Belmont Stakes in a comfortable and easy pace pressing position, and then there the horse who stepping up into big company, Charge Now, who likes to sit just a bit off the leaders, in a mid-pack stalking position. I cannot see closers getting there with the history of the Travers, but look at last year! Will Take Charge charged into action in a late surge to nap Moreno of a win. If we want to look the closers, look no further than the late blooming Irish You Well. He was really the only one who made up any ground in a closing run in the Haskell. He didn’t break his maiden until two starts back. Then, he won the Long Branch at Monmouth. He has hit the board in graded stake company, but produced nothing yet. I could see him, again, hitting the board here. But, who could forget Kentucky Derby runner-up, Commanding Curve?! His late kick can be lethal, as we saw him go off at long odds to complete the 2014 Kentucky Derby exacta. He hasn’t faired so well since the Derby though. Could he be another Golden Soul? He will have to prove otherwise here. We could also look at the turf pedigree gone dirt, in V. E. Day. The English Channel colt last out, won the Curlin in a thrilling finish over Charge Now. We could also look at dirt pedigree gone turf, in Mr. Speaker. This late running colt took to the turf and has blossomed into a very good colt. Shug is a hall of famer, and knows what he is doing. Maybe Mr. Speaker can take to Saratoga better than he did to Gulfstream. When we look at the Travers, we really have to wait to see how the track is playing, which is usually very fair. If I had to choose a horse, right now, to win the Travers, I could see it being between two rising stars: Wicked Strong and Tonalist. Post Positions, Odds, & Picks for the 2014 Travers Stakes will be released on Wednesday, August 27, 2014.